Ling will put you in the best room available at any time. All the rooms have charming names - they're named after English apples! I especially liked the Bramley room upstairs. Thank you for a lovely stay at The Apple Tree, Ling. We enjoyed the location. Leave the car and walk easy to the town. Restful rooms and delicious breakfast. In appreciation Heather. Our host was sweet and helpful....wonderful breakfast..our room was very clean. Great location, short walk to many resturants and activities. 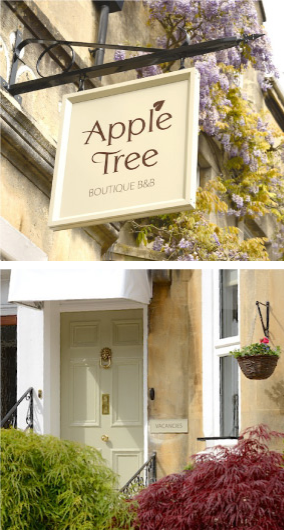 Would stay at AppleTree again when in Bath. If you've stayed with us recently we'd love to hear how your visit went. Please leave us a comment below. How did you enjoy your stay?